LONDON TUBE TERRORParsons Green terror attack suspect identified by cops using CCTV after bucket bomb IED exploded injuring 22 – Zeepertje.com – Facts Fun & News on ISLAM, "The religion of peace"
Fleeing commuters left with serious facial burns after a ‘fireball flew down the carriage’ of the packed train. COPS have identified the Parsons Green terror suspect using CCTV after an IED attached to a timer exploded on a rush-hour Tube injuring 22, sources have said. The homemade bucket bomb device sent a “fireball down a carriage” as it partially detonated with a schoolboy and pregnant woman among those injured in the terror explosion. Mayor of London Sadiq Khan announced “a manhunt is underway” as bomb squads and counter-terror cops swarmed on the scene. 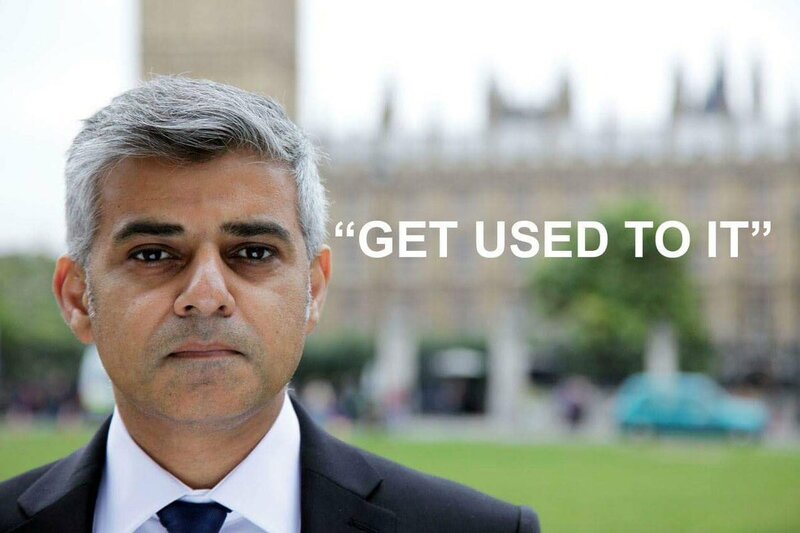 Defiant London mayor also proclaims: "We will not be defeated"
Notice how the Muslim mayor of London calls a terrorist bombing a incident?